The FIA, FOM and current and potential engine manufacturers have convened in Paris today to discuss the forthcoming powerunit regulations for 2021. The FIA outlined objectives for the future roadmap of the sport, which include a reduction in cost, the inclusion of hybrid technology to maintain manufacturer appeal and an improvement of the sound generated by the cars, in order that the sport still appeal to the fans. Today’s announcement shares the broad strokes of the new engine, whilst a fully defined framework will be published by the end of 2017. The proposal has been developed by the FIA and FOM, with input from the teams, powerunit suppliers and outside experts as a balance is struck between the engineering challenge and the sporting spectacle. In order that costs be contained, the full specification of the powerunit will not be defined until the end of 2018, at which point test and development restrictions will be enforced, encouraging manufacturers to continue development of the current powerunits. The FIA had already made it clear that returning to a V8, 10 or 12 was not an option for the sport as it strives to have some semblance of road relevance and meet emissions targets etc, making it no surprise a V6 has been retained. What I am slightly shocked by is that given the removal of the MGUH they didn’t choose to use a twin turbo arrangement, especially as this deals with the issue of turbo lag more easily - a prime objective of the MGUH. This would have also changed the pitch of the engine and probably not required such a drastic increase in rpm to both increase noise and overall power delivery. (I don’t have it confirmed yet but I suspect the 3,000rpm rev limit increase they’re proposing is a removal of the fuel flow limit above 10,500rpm that artificially limits them to around 12,000rpm concurrently, which will allow them to the full 15,000rpm hard limit currently and uselessly available in the current regulations). Removing the MGUH does lessen some of the complications that exist but also lessens the overall weight of the powerunit, handy that considering the ICE weight will likely climb in order to accommodate the higher revs and load, which are already a large reason behind the overall powerunits weight increase - something that is often forgotten, as the loss of two cylinders but the requirement to make more power bloated the V6 significantly. I’ve often talked about improving the capacity of the MGUK and it seems that this will play a pivotal role in these new regulations, but it comes at a cost - overall power will be down as currently the MGUH and MGUK supplement the overall power throughout the entirety of a lap. Rather than just being a boost or push-to-pass system like KERS used to be the MGUK supplies 160bhp when the throttle is applied until such point that the driver adjusts how much electrical energy is being deployed or he runs out of energy (You’ll have heard the term “derate” used by drivers to explain this). On top of this we have the issue of energy storage, as KERS being only a way of boosting performance had a relatively small battery capacity - 400kj. The current energy store can handle 10 times this storage (4mj) but is further supplemented by energy fed directly from the MGUH, otherwise it’d run out after 33.3 seconds of use. This is where the complication comes from with these powerunits, as you’re asking four machines (ICE, Turbo, MGUH and MGUK) to work harmoniously and deliver a linear amount of power, at the drivers behest. From a strategic point of view then, I’m glad that the KERS style boost returns, however, from a technological point of view I think we’re taking a huge leap backwards. 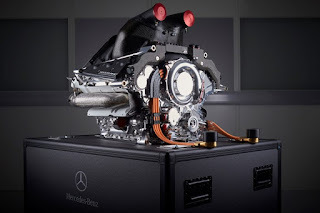 Lets surmise that the FIA, FOM and engine manufacturers, who’ve proposed this scenario, wish to double the horsepower available from the ‘K’ again - 320bhp, and rather than lose some weight we stick with what we have (a 4mj energy store), it’ll give the drivers around 16 seconds of power until the battery is fully drained. The statement about the ability to ‘Plug-And-Play’ powerunits is a strange one as the current regulations are already pretty prescriptive in this respect, with mounting points specified in such a way that you should be able to drop one unit into another car, the problem arises with the peripheral equipment and how intercoolers, radiators and the like are plumbed into the car. One area that has been completely side stepped here is fuel, with the fuel flow limit instrumental in the lean burn, high efficiency power units we currently have. If the sport is intent on the new engine producing the same level of performance that we currently have then this will need to be addressed. It's likely a fuel flow limit will be retained in order to control the upper ceiling of the engine of which I'd expect a figure of somewhere in the region of 120kg/h but bear in mind that might exacerbate the weight problem more as a larger fuel tank may be required too. 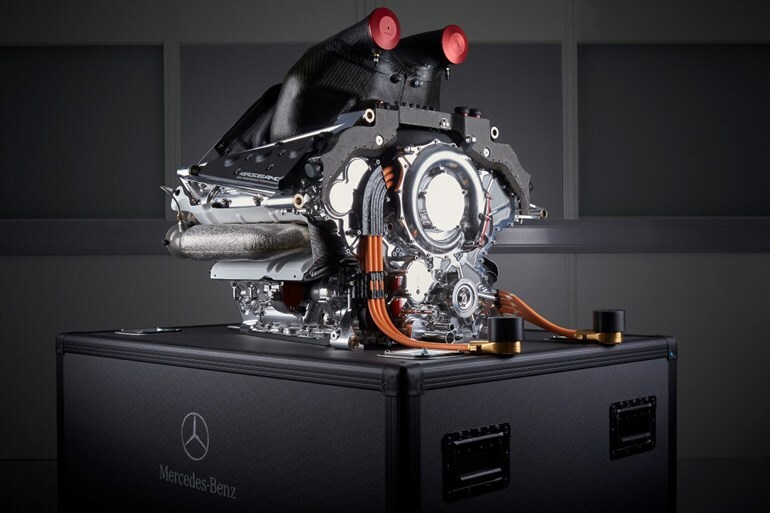 Hybrid technology has no place in F1, it does nothing for the sport.